The Arcimboldos were from southern Germany, but a branch of the family migrated to northern Italy. Giuseppe was raised in Milan and, as an adult, he joined his father in his job as a painter of frescoes in the cathedral of the city. In 1551, Ferdinand of Bohemia traveled through Milan and commissioned the artist, already locally recognized, to paint five coats of arms of his family. The king was so impressed with his work that he insisted to hire him as the official painter of his court, but Arcimboldo refused and worked for a few years more in northern Italy. In 1562, he fulfills the request of the king, now turned into emperor of the Holy Roman Empire, and began working in Vienna and Prague. The artist, depicted as an eccentric with a great talent in the records of that time, makes portraits of the people of the court by compositions with inanimate objects. These portraits, of course, were not official, but catapulted his fame among the nobles of the sixteenth century. But Arcimboldo also enjoyed painting just for the sake of it, and not just to get an economic return. Thus he began working on “The seasons”, a series of four paintings which portrait himself through compositions of different objects. In Summer, the most known painting, we can see his self-portrait composed by green leaves and ripe fruit, all representing the season that entitles the canvas. But beyond the curiosity for his work, what we need to understand is that these paintings were completely experimental for the time. Until that time, the art was either religious or historical, but always realistic. 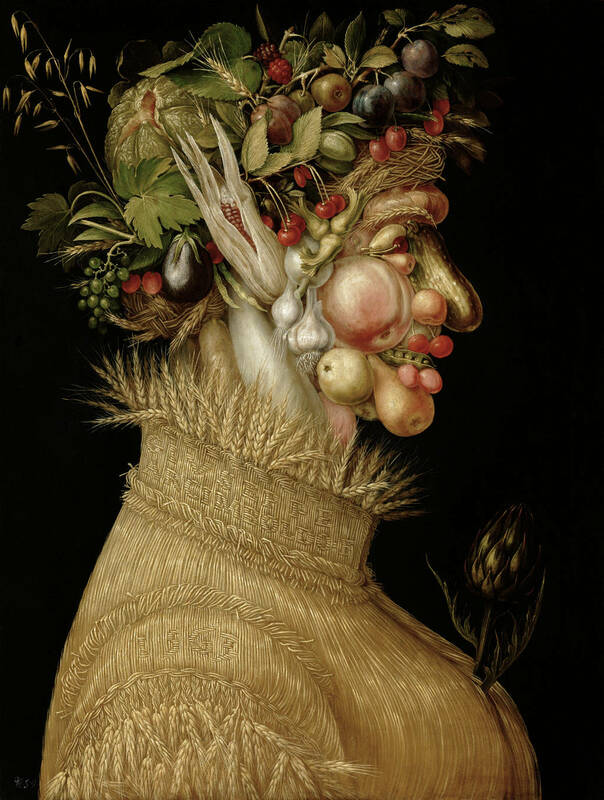 Arcimboldo’s paintings, on the other hand, were something totally new. No one painted with a similar style for 300 years later. Perhaps for this reason, his work will remain hidden until the twentieth century and will only be appreciated by the surrealists, especially Dalí, who found inspiration in the Italian master. *The artist’s work is cataloged as late mannerist due to the “close relationship between men and nature.” However, from Silver and exact, we believe that this categorization is completely forced and purely based on a timeline. Arcimboldo’s art has absolutely nothing to do with mannerism, and anyone who says otherwise knows nothing about life. ~ by Álvaro Mazzino on March 22, 2013. Samsung’s Note 4 also has a metal frame, but it’s obvious only at the edges. A flimsy faux-leather textured rear cover makes it feel a little cheap. On the plus side a removable rear panel makes for a removable battery, too. The reason for this abyss of middle-ground sneakers is that brands like the Nikes and Adidases of the world are dedicated to innovating for the sake of performance. This entry was posted on March 22, 2013 at 14:38 and is filed under Surrealism.You can follow any responses to this entry through the RSS 2.0 feed.You can leave a response, or trackback from your own site.